The story of the growth of the Devotion to the Sacred Heart is an integral part of Church History, which is itself the story of the growth of the Mystical Body "unto the measure of the age of the fullness of Christ. "l That story is told largely in the words of those whose lives have, in the past, made the Devotion to the Sacred Heart what it is today ---- taken from the writings of the men and women best qualified to speak: lovers and thinkers and doers, apostolic scholars, Saints of all walks of life, persons heart-conformed to Christ who have put into their own words "the purposes of His Heart to generation upon generation"2 in the life of the Church. Excellent and exhaustive histories of "the great Devotion" have already been written, providing theological exposition along with a wealth of fact; in all of these works quotations from the documents in which the Devotion is best revealed are numerous ---- set in a running commentary meant to place them in their proper order and perspective. The closeness of the relation between the life of the Church and the Devotion to the Sacred Heart is indicated by our Holy Father Pope Pius XII in the Encyclical Mystici Corporis, where he gives as one of his reasons for writing it the fact that today "a more fervent devotion to the Sacred Heart of Jesus has brought many souls to a deeper consideration of the unsearchable riches of Christ which are preserved in the Church. "3 The history of the Devotion runs through the whole of the larger history of the Church, implicit and latent at first, then explicit and all-pervading. Since it is rooted in the sante dogmatic foundations from which the Church springs, the Devotion is seen to grow stronger with her growth, and to record the changes in her expanding life. It remains consistent and true to its own character throughout, yet at each step it reflects the special spirit of the age, the Zeitgeist that draws harmony from conflict and contrast. The Church is, as Bossuet says, the Incarnation extended in space and time. As such she is theandric, Divine and human in nature. "Incarnate, she assumes all the social and cultural forms of the people she teaches; supratemporal and transcendental, she is and never ceases to be herself in the civilizations she passes through. "4 A greater understanding of the Devotion to the Sacred Heart as an element of the time-spirit of each century, as well as an integral element of the unchanging Christ-life that animates the Church, will throw light upon our own times, and upon the chapter of Church History that is being written today. Thus the value of the works of the Saints on the Sacred Heart lies largely in their continuity; their chronological sequence will reveal the interplay of cause and effect in successive periods unfolding in a Divine pattern. Each opens a vista upon the life and times of its writer, and each shows the features of Mother Church wearing the expression of a passing age as she turns her face towards eternity. To look back at the beginning of any movement from the vantage point of our own times is to light the past from the present. 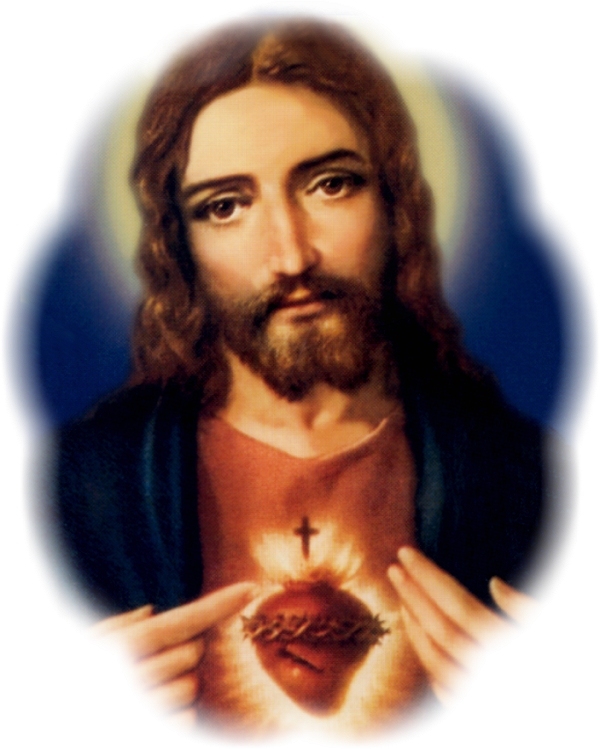 There are two ways of so looking back over the development of the Devotion to the Sacred Heart. One is analytic, accurately seeking the meaning given to the terms employed in different ages, according to the mentality and circumstances of those times, thus defining by limitation.5 According to this method, it has been claimed that Devotion to the Sacred Heart as such existed only implicitly before the eleventh century; that it took distinct form only in the seventeenth, and did not become the cultus with which we are familiar until the eighteenth.6 The second way is the synthetic which, looking to the spirit rather than to the letter, finds the Devotion in the varying blends of its elements, tracing it back to the early ages of the Church and even into Old Testament times. In this sense, Devotion to the Sacred Heart has been at work since God first set his heart upon man.7 These methods are not contradictory but complementary. The first is needed for an accurate understanding of the nature of the Devotion, the second for penetration into its mysteries, and for full response to the grace it offers. The first method, employed in official histories,8 has by now accomplished its work of clarification; the second is at present being used to extend the significance of the Devotion into ever wider ranges of the spiritual life ---- necessary for a true historic perspective. The writings of holy men and women here presented, as well as those of commentators and historians, all rest securely upon the same four-square foundation. It is beyond the competence of this book to explore this foundation; its underlying presence will simply be indicated. Theology and Scripture are, of course, all-pervading throughout ...; the rise of the Liturgy is traced; official documents, including the great Papal Encyclicals, are given in abridged form in their chronological place. All the works bear the authentic stamp of the Devotion, while their very diversity in value, content and tone witnesses to the overshadowing action of the Holy Spirit, at first secret, then brilliantly manifest, drawing together through the centuries the elements of Devotion to the Sacred Heart to their final crystallization in an official cultus of the Church and to their final glorious expression in the Haurietis Aquas of our Holy Father Pope Pius XII. 3. Pius XII, Mystici Corporis (New York, America Press, 1943), p.7. 4. Emmanuel Cardinal Suhard, Growth or Decline? The Church Today (Montreal, Fides, 1948), p. 29. 5. This is the method followed by Jean Bainvel, S.J., in Devotion to the Sacred Heart, and by A. Hamon, S.J., in Histoire de la Devotion au Sacre Coeur, in which the authors, by distinguishing between the literal and metaphorical use of terms and by stressing the necessity of reference to the heart of flesh, show clearly where the Devotion as such is not to be found. Both writers admit the value of the second method in studying the Devotion as a whole, with a view to releasing its full powers in the spiritual life. The second method is followed by Fran çois Charmot, S.J., in The Sacred Heart and Modern Life, and by Dom Aelred Watkin, O.S.B., in The Heart of the World. 6. Some earlier accounts of the Devotion claim that it did not exist in the analytic sense before the eleventh century. But as Reverend John A. Hardon, S.J., has observed, this view is no longer tenable in the light of the Encyclical Haurietis Aquas. He says: "In as much as the formal object is now clearly stated to be the love of Christ (in its three-fold manifestation) this love was an object of Christian devotion from the dawn of Christianity. The symbolic element of the Heart, to signify Christ's love, is indeed a later innovation. But the latter does not constitute the formal object. Pope Pius XII says that the Divine love for us is 'the principal reason for the devotion.' The original Latin for 'principal reason' is ratio princeps which may be rendered as 'essence,' so that since Divine love is the essence of the devotion to the Sacred Heart, and this has been repeatedly revealed in the Old and New Testaments, it follows that, the Devotion itself, quoad ration em principem, goes back to the origins of Christianity and, in fact, to the first supernatural manifestation of God's infinite love." 8. Chief among these are: A. Hamon, S.J., Histoire de la Devotion au Sacre Coeur (Paris, Beauchesne, 1924-49, 5 vols.) and J. Bainvel, S.J., Devotion to the Sacred Heart (New York, Benziger, 1925, translated from the French). For histories of special periods, see the bibliography. 9. François Charmot, The Sacred Heart and Modern Life, trans. by Kathryn Sullivan (Kenedy, 1952), p. 51. 10. Hamon, op. cit., Vol. II, p. v.